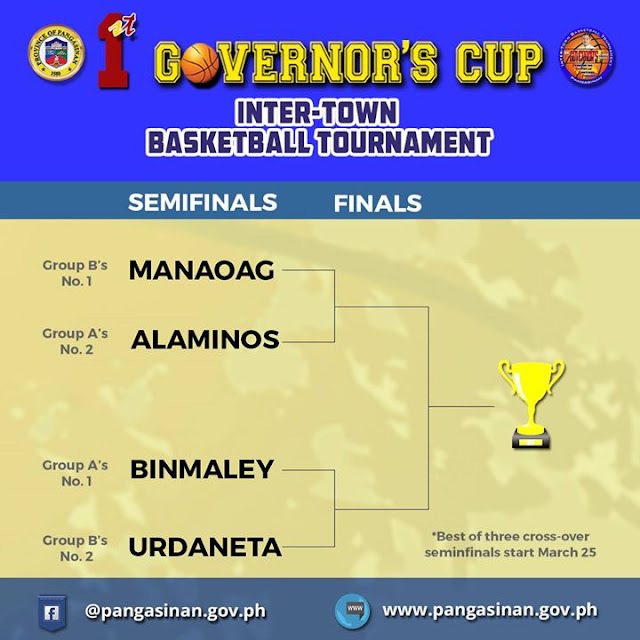 LINGAYEN, Pangasinan – Top four teams of the ongoing Governor’s Cup – Intertown Basketball Tournament that will advance to the best-of-three crossover semi-final games have been determined after the tournament’s quarterfinals ended last Saturday, March 18. Manaoag team showed a strong performance in the quarterfinals, posting a perfect (6 wins and 0 loss) record in group B to earn the top spot for the semi-finals. Running second in Group B to gain the other semifinals berth is Urdaneta City with a 5-1 win-loss record. In Group A, Binmaley and Alaminos City registered the same record with 5-1.To break the tie, the “win over the other rule” applies as Binmaley defeated Alaminos City in their lone game in the quarterfinals. 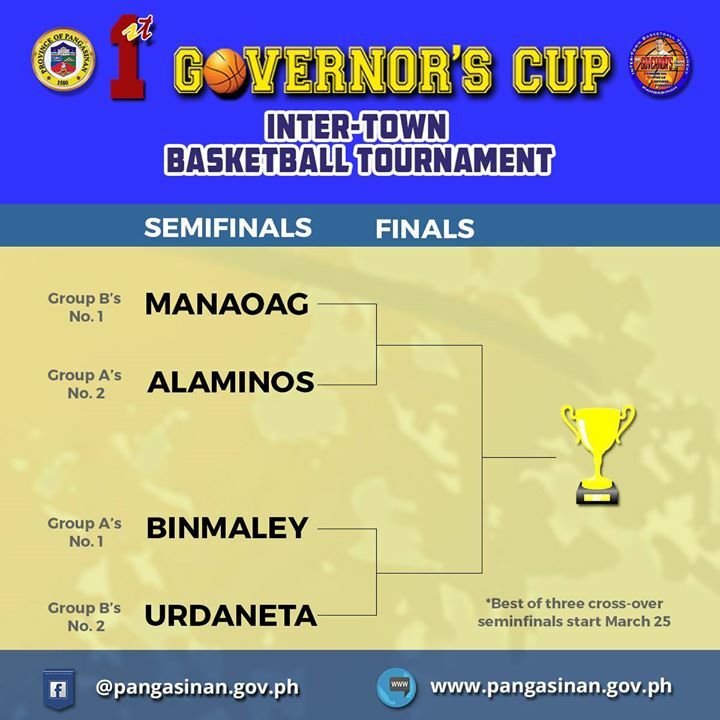 Thus, for the first day of crossover semi-finals on March 25 at the Narciso Ramos Sports and Civic Center (NRSCC) gym, Group A top team Binmaley battles Group B’s second placer Urdaneta City at 2pm, to be followed by Group B’s top gunner Manaoag against Group A’s runner-up team Alaminos City at 3:30 p.m..
On the following day, March 26, in the same playing venue, spectators will witness another full-scale battle between Binmaley and Urdaneta City (2PM) and Alaminos City and Manaoag (3:30PM). In the last day of quarterfinals held at the NRSCC gym, top seed A Manaoag team of Group A crushed Labrador (90-82), while in Group B, Alaminos City trounced Villasis (91-78). Bugallon, Mangaldan and Bayambang team won over their nemesis by default for not appearing for the final quarterfinal round. Ranking third in their respective groups with (4 wins – 2 losses) were Mangaldan (Group A) and Calasiao (Group B). Villasis, Bugallon and Malasiqui (Group A); Sto. Tomas and Lingayen (Group B) posted (3 wins – 3 losses). Bayambang in Group B collected two wins and suffered four losses while Asingan (Group A) and Tayug (Group B) managed to win one game apiece in six playoffs played. San Manuel (Group A) and Labrador (Group) were winless. 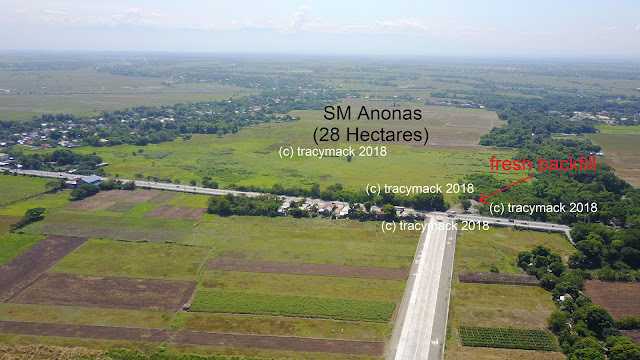 The ongoing inter-town cagefest is a brainchild project of Governor Amado I. Espino, III launched in support to the provincial government’s youth and sports development thrusts.